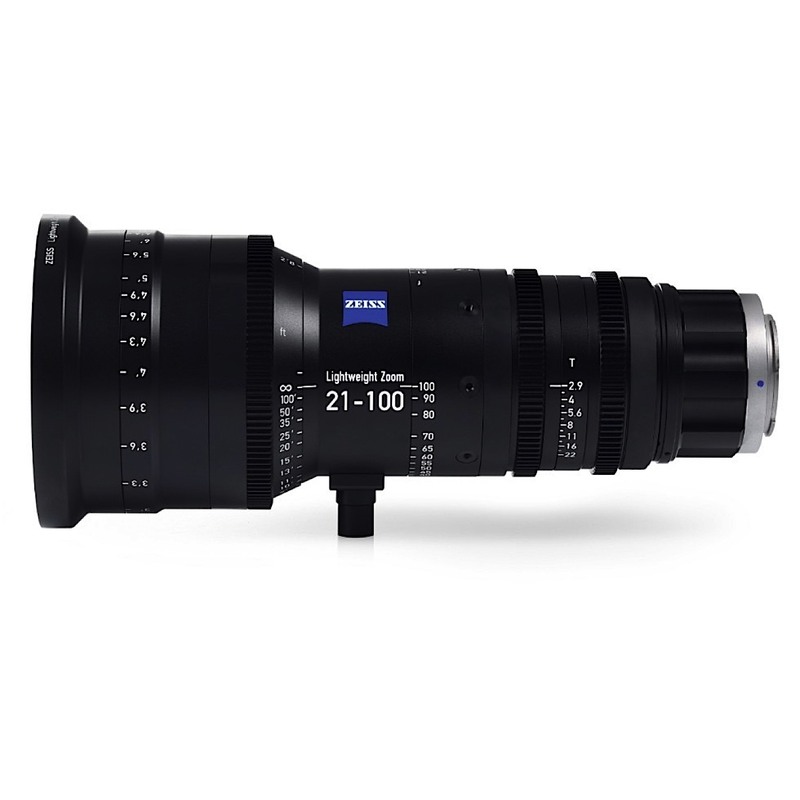 The Zeiss Lightweight Zoom LWZ.3 Lens in PL Mount with focus markings in feet features a 21-100mm zoom range, making it a one-size-fits-all alternative for budget-constrained productions. The lens is optimized for digital cinematography whether on a DSLR or cinema camera, and will cover image sensors sizes up to Super 35mm. The lens covers up to a Super 35mm-size image sensor. This coverage also accommodates Academy 35 and APS-C formats. The lens features nearly 300° of focus rotation that provides for extremely accurate focus pulls. The interchangeable lens mount allows you to change the original mount your lens came in. Optionally available mounts are Sony E, Canon EF, Nikon F, and PL.